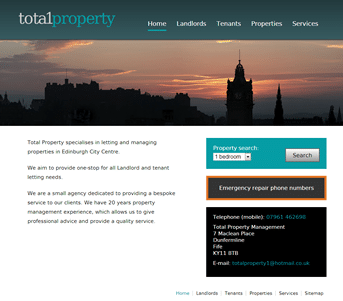 Total Property are a Fife based letting agency who specialise in central Edinburgh property. We re-developed their logo and website and took over hosting their site. Their existing hosting company was closing down and they needed a new site in a hurry. The site was delivered in two phases. The first phase was a simple migration of the existing content, with new logo and styling. Once their replacement site was up and running the second phase introduced a property database feature with a simple search. 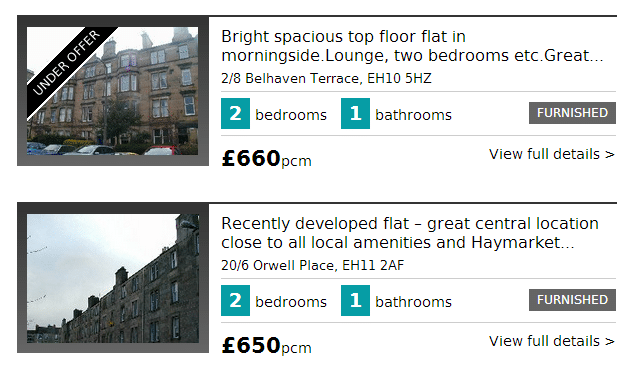 As a boutique letting agent with limited time available to maintain their site, we tried to avoid the wasted effort of re-entering property details into another system and created a one-click import. 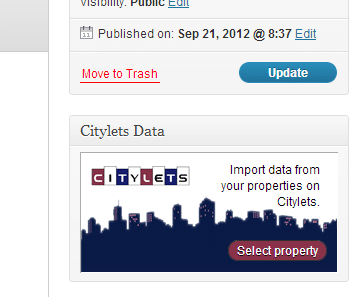 The site administrator can import property data they already have entered into Citylets with a single click; Images, descriptive text, rent and property features are all copied over with minimal effort. Many of Total Property’s clients are students or young professionals. The entire site has mobile friendly styling, optimised for use with a smartphone. Apart from the property search and other information for prospective customers, information about how to deal with emergencies and repairs is readily accessible to existing tenants. Telephone numbers are formatted as dialable links so visitors can click the link to call Total Property and arrange repairs directly from the browser on their smartphone.